Trying to effect change is stressful. Stress is poison. I was aware of this when I was completely stressed about the Australia Post 'thing', but with change not happening, I just couldn't seem to snap out of it. Perfect. 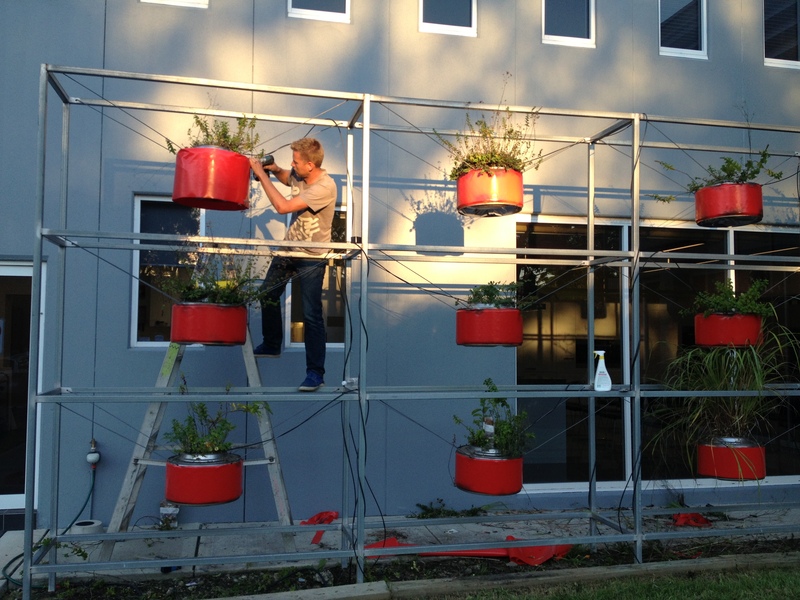 Here are a few photographs of Joost's plant wall at Miele HQ in Frenchs Forest. I played Best Gardener in a Supporting Role. Drill Grip. Gaffer (tape holder). And headed up Catering. 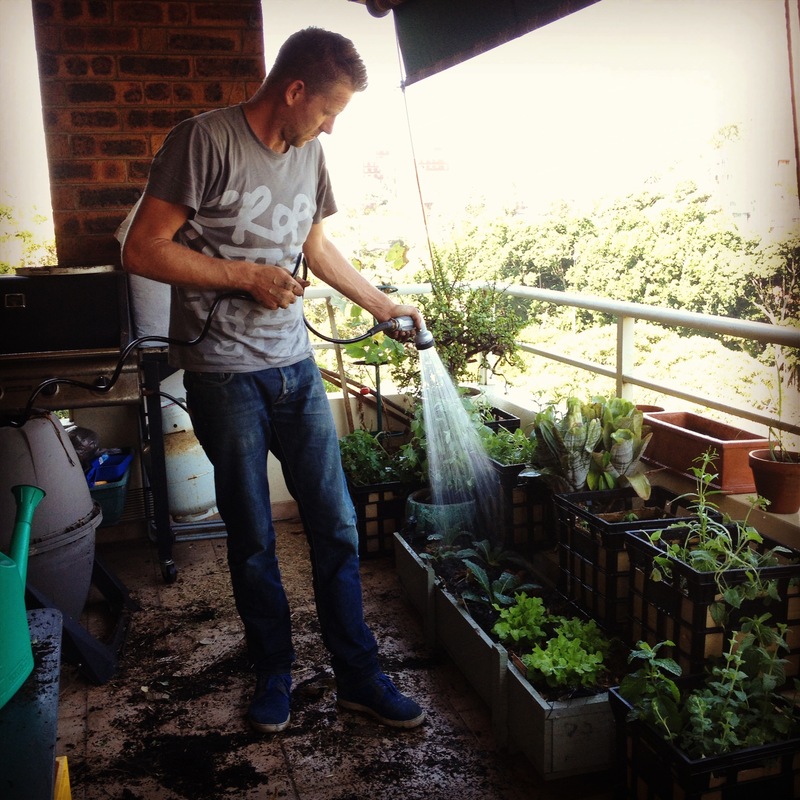 And then we (OK, he) tarted up my balcony with the left over plants... adding to the eggplants, tumeric, kale and lettuce already growing! 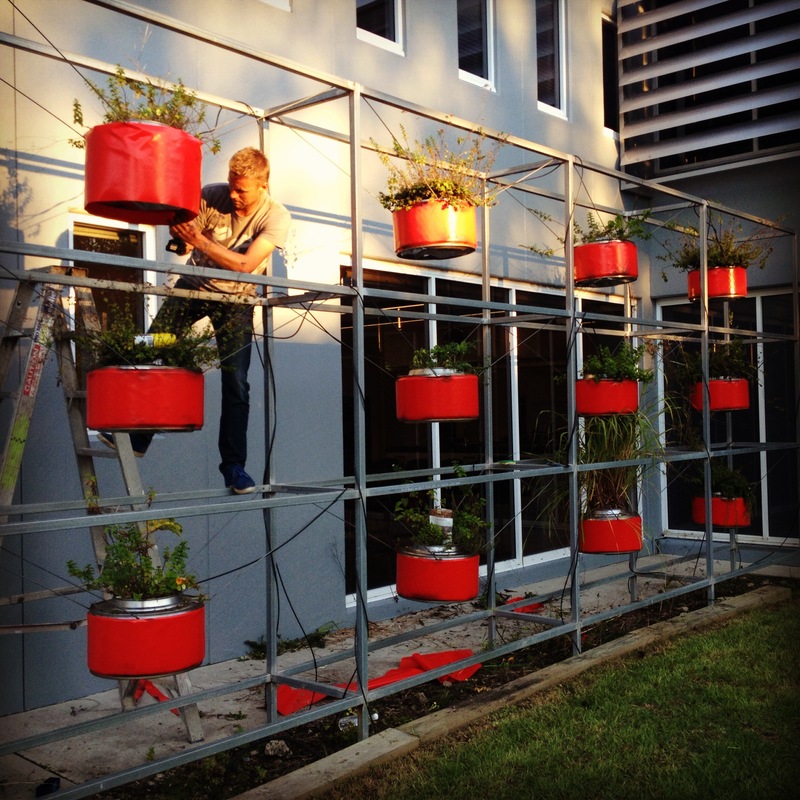 This entry was posted in Bees & Honey, Business Musings and tagged urban bees, stress release, plant wall by joost, Joost, balcony beehive, antidote on April 28, 2013 by queenbcandles. According to the Digital Media Research Report done in 2012 by PwC and Frost & Sullivan, total online expenditure in Australia in 2012 was forecast to be $16 billion of which $7.2 billion (or 45%) was on international websites. OK, I get that. I shop on overseas website myself where the goods are not available in Australia or completely overpriced or where the cost of shipping is ridiculous. So, this my rant is not about saying we shouldn't be shopping on international websites. My rant is that overseas people aren't shopping on Australian websites because our cost of shipping to them is so high. According to one comment on my last post about this, for a business in Hong Kong to ship a 500g parcel to Australia it would cost $0.60. For an Australian business to ship a 500g parcel in a Parcel Post satchel would be $8.25 (that's 15 times the price) and for the Australian business to ship the same parcel to Hong Kong would be $11.90 (that's 20 times the price). No wonder we're shipping overseas. The Australian small business selling that item has the choice of either absorbing the $8.25, or charging for it. Why would you shop locally? That. Is. Insane. That is killing small business. A friend who runs Daylesford & Heburn Mineral Springs Co. called me from the Post Office yesterday. He was mailing online orders to WA. The cost to the customer for a case of beautiful, Australian mineral water or Organic Brewed Ginger Beer? $50 - $65. The cost of mailing EACH CASE to WA? $69. Yes, the postage cost was more that what he earned on the sale. Seriously. He doesn't even bother with trying to export his mineral water... and yet, the most popular mineral water in Australia is imported from Italy. Yes, it is cheaper to bottle and ship mineral water 15,000km's across the world than it is to bottle and freight it from the other side of Melbourne. This morning I received an email from a small US company that I have purchased from before. They are now offering US$4 postage for up to 10 pounds of product to Australia sent by DHL Parcel Delivery Express. I've emailed DHL in Australia to see if they will offer me the same rate for our shipments. I'll keep you posted on their response. You'll be relieved to know that I'm not holding my breath. Just as the recent Cabinet inquiry into software pricing revealed Aussies are paying as much as 170% more, so we do on shipping. Our monopoly, government owned, postal service leading the way on overcharging. According to a report by ANZ, small business sales are down 5% (year on year) to the end of February. Australia's trade deficit has widened by eight per cent to $2.6 billion in November last year, the largest recorded since the Global Financial Crisis, according to new data from the Australian Bureau of Statistics. This represents the 11th consecutive month of deficit. According to the Digital Media Report, 55% of people surveyed said the most important reason they shopped online was lower prices. We can be pretty confident this is the case the world over. Well, given our high Aussie dollar and the fact that our minimum wage is the highest in the OECD we're already behind the 8 ball. Add to that the rort that is Australia Post's shipping charges and we may as well raise the white flag. There aren't many times in my life where I have felt completely powerless, but this is one of them. It is like seeing a train wreck before it actually happens. Or knowing that that moron who just overtook you at double the speed limit is going to hurt someone. If we don't fix this, it is going to hurt. 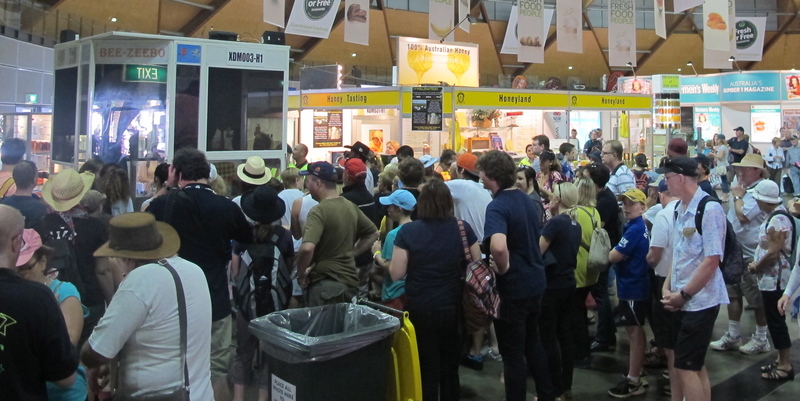 2 out of every 3 jobs in Australia is in the small business sector. If we can't compete with our global competitors to ship at competitive prices, we'll have more businesses failing (insolvencies were at record high's in the September 2012 quarter) and more people looking for jobs. As you know I am pretty passionate about Australia. We are wonderful innovators. We make world class products. Let's stand up and tell the Federal Government that they need to do something about making it possible for us to level the playing field and ship at competitive prices (both domestically and internationally). You can sign the petition here. If you're feeling a little blue after this post, you can buy Queen B pure beeswax candles here (made in Australia and shipped for "free" on orders over $100). You may also now have a better understanding on why we have a minimum order for "free shipping". Don't get mad when an Australian retailer charges for shipping, get even - send an email to the Minister for Small Business telling him that our shipping costs are killing sales. Take those 2 minutes to stand up for something you believe in. It's the only way we'll get the change we need. If you want to live in a world where we are more than a giant quarry (and they're getting better at mechanising that and importing workers) or a dumping ground for cheap imports, then you need to stand up and do something about it. We want manufacturers. We want vibrant regional communities. We want artists and craftspeople and designers. And given we're part of the global economy, we need them to be able to ship their goods domestically and internationally at competitive rates, otherwise there will be no market for their product and they will close. I'll finish with a few statistics from the 2012 Australia Post Annual Report (just in case you think I'm being unreasonable... or hysterical :-0). Mail volumes were down 14 per cent from 2008 to 2012, and yet overall revenue was up 4 per cent. Wow - those 3 price increases last year really delivered for them. Profit before interest and income tax expense from Parcels & Express Post was up 17% (2011 to 2012). So, are they investing in their network to improve their service (and justify all the price increases)? Well, no, their capital expenditure was at a five year low in 2012 (on par with the five year low in 2011). However, they did declare a $213.7 million dollar dividend (a 23 per cent increase on the dividend paid in 2011) – paid, of course, to the Federal Government. Oh, someone powerful, can you PLEASE, PLEASE, PLEASE do something about this before we all realise too late that we had to act now? This article appeared in the SunHerald on 14th April 2013. This entry was posted in Business Musings, Soapbox and tagged killing small business, competitive disadvantage, Australia Post rort on April 10, 2013 by queenbcandles. The goal of Honeyland is to educate people about bees and honey. It sits alongside the entries for the National Honey Show showcasing honey, beeswax, beeswax candles, bee pollen, frames of honeycomb, mead and all manner of other bee-created goodness. Whilst we all like to eat fruit and veggies, and most of us like to eat honey, our bee sisters have suffered for many years with a bad reputation. Like most people, insects and animals, honeybees have a mechanism for communicating their displeasure if they feel like they are under attack... they sting. Much like you or I may shout or lash out if someone trod on us, a honeybee will sting when they feel threatened. Thankfully European honeybees don't generally attack if they're not provoked and most people aren't even aware of their work in our gardens and parks every day. They are absolutely necessary if we want to live in a green city. 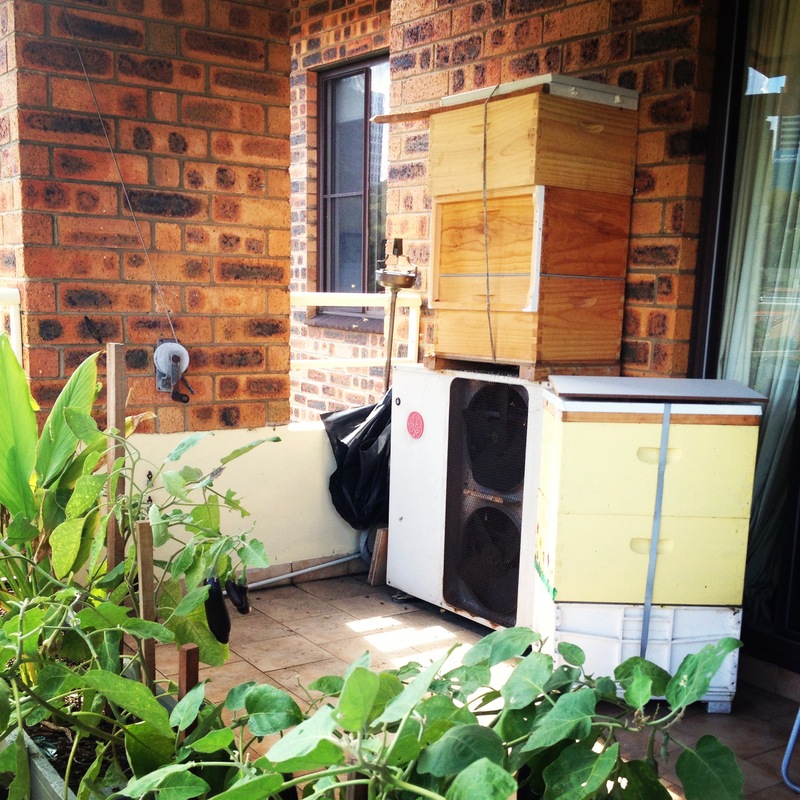 Recognising this, a few years ago the NSWAA established a "Bee-Zeebo" to do live bee demonstrations to educate people about bees and honey. 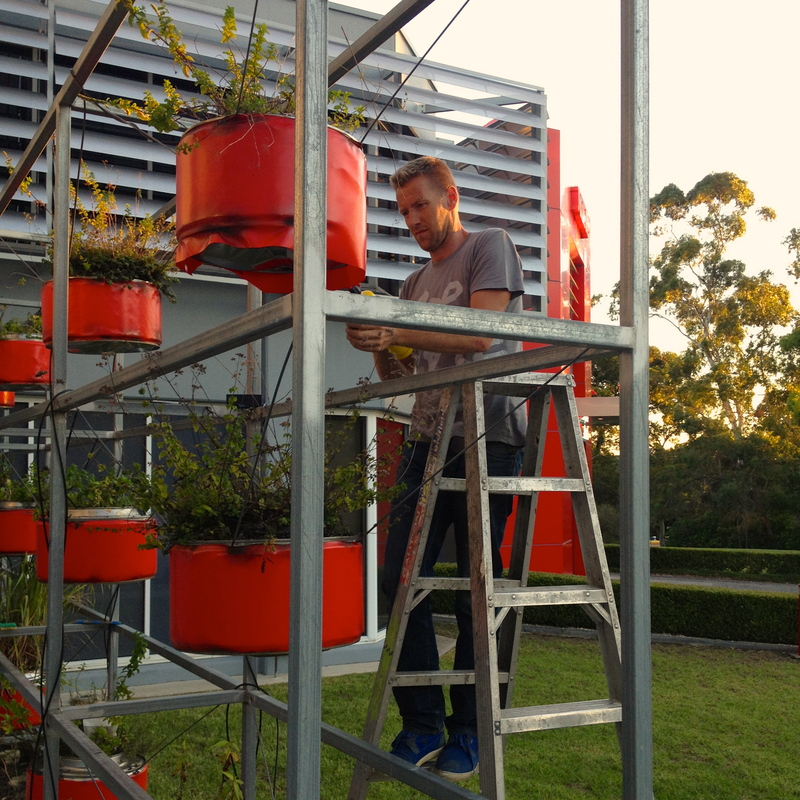 One of the primary educators is Bees In The City's very own bee whisperer, Bruce White OAM. Like watching or listening to anyone who is extremely skilled in their chosen profession, watching and listening to Bruce is mesmerising... particularly if you're interested in bees! 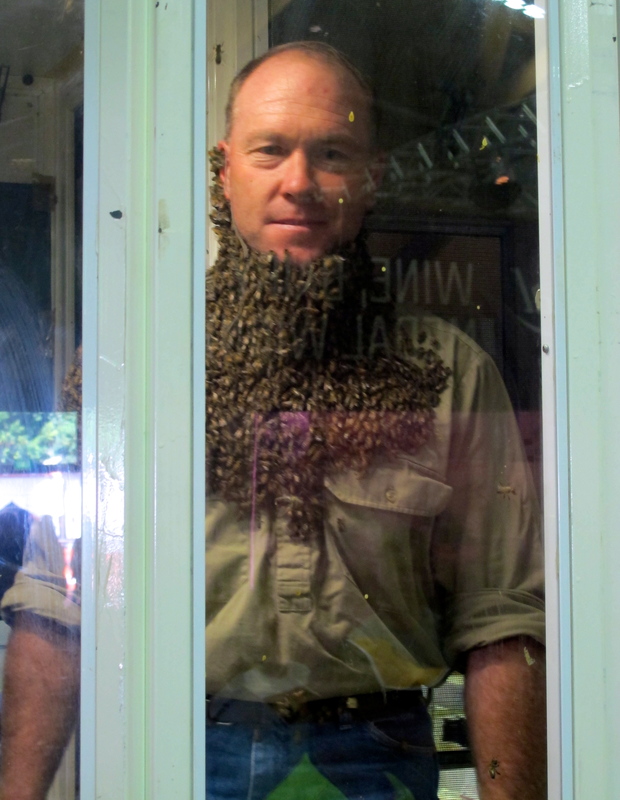 This year, for the first time, a beekeeper, Craig Klingner, demonstrated a bee beard. 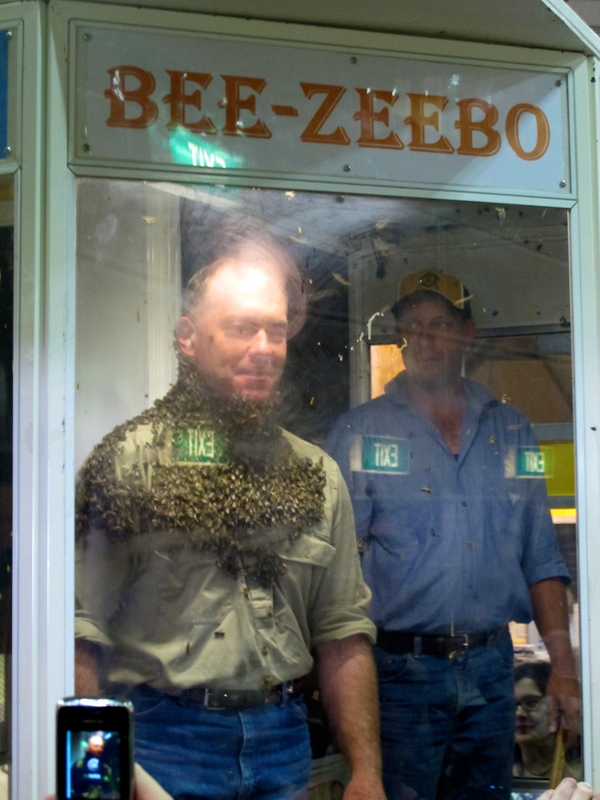 To make a bee beard, the queen bee is put in a 'queen cage' (with a few attendants) and hung around the beekeepers neck. Her progeny (worker bees) are then let out of the hive where they will climb up the beekeepers and gather around their queen. 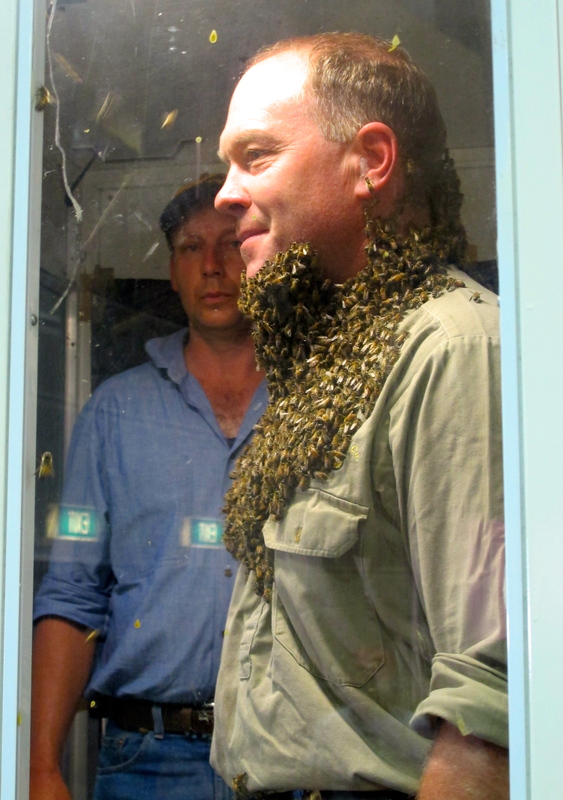 With over 10,000 worker bees clustered around his neck and face it was a great demonstration of the safety of working with bees (if you know what you're doing) and their in built mechanism to gather around their queen (much like you see when there is a swarm). Oh, and did I mention that our 45cm dipper beeswax taper candles won first prize?! Happy days. We don't have them available online because we can't find a box suitable to ship them in (any box that long is as wide and high and thus we get killed on postage), but they are available at the hive and some of our lovely retailers. 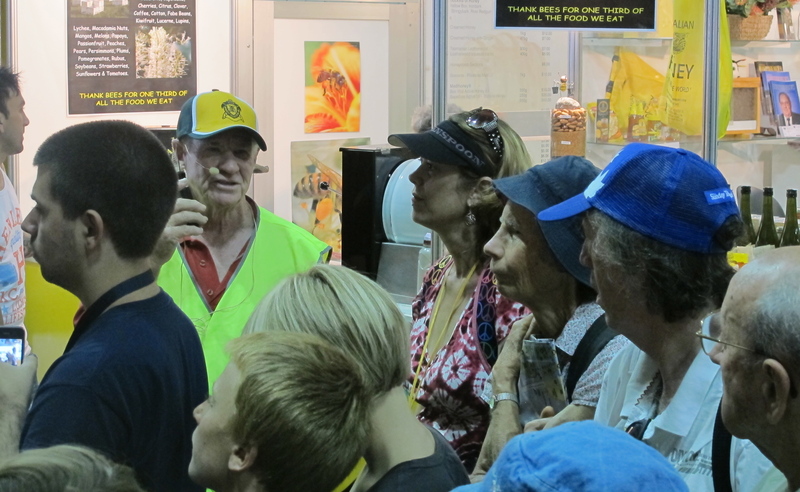 Next time you're at the Easter Show, remember to pop into Honeyland to taste the honey's for sale and support the NSW Apiarists Association and the beekeepers that keep us nourished (and naturally sweetened)! 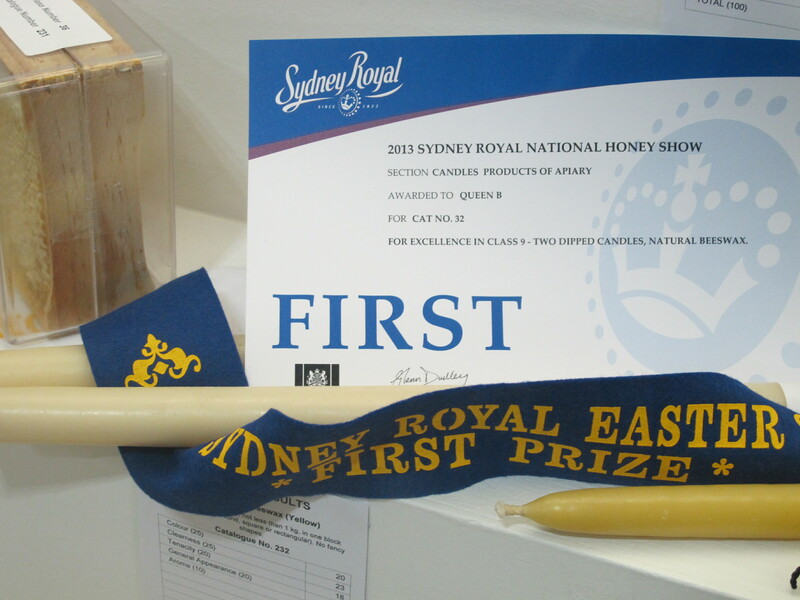 This entry was posted in Bees & Honey, Beeswax candles and tagged urban bees, Royal Easter Show, NSW Apiarists Association, honeyland, First prize, Bruce White, beeswax taper candles, Bees In The City, beekeeping, bee beard, australian honey on April 10, 2013 by queenbcandles. I did a facebook post on this earlier today but realised that I had so much to say that it really warranted a blog post! Today (with no prior warning), Australia Post put up their shipping charges by an average of 30%. It is a short-sighted attempt to cash in on online shopping but actually just puts another nail in the coffin of Australian small business. Small business is Australia's largest employer with approximately 2.7 million small businesses in Australia employing over 5 million people. That's around 2/3rd's of the labour force. This price gouge will be a direct hit on many of them. You will very rarely find me whinging about running Queen B. I love it passionately. I consider it a privilege to do what I love 80 hours a week. I still have to pinch myself that I get to ship our 'light' every day and at the same time to make a difference in so many lives. Yes, the Australian dollar is high... we'll deal with it. I understand that it is complicated and our dollar was floated several decades ago. Our product is world class. I still think we can compete. Yes, people can buy stuff overseas and not pay GST on orders under $1,000... I understand that it would be expensive to administer. We'll deal with that too. Yes, our manufacturing labour costs are the most expensive in the OECD (all interesting reading but in particular read page 19 and on)... I understand our cost of living is ridiculously high in Australia. We can even struggle through that (although we are understaffed because we can't afford to hire the staff we need). As I mentioned in my Facebook post, I have a friend who runs an online business in the UK selling natural skincare and cosmetics (including many well known Australian brands). A few Christmas' ago we shipped a 2kg hamper to the UK on behalf of a client and it cost us over $90 to send. I was so shocked that I asked my friend what it would have cost him to send. Turn out that what cost us $90 to ship from Sydney to UK would have cost him £4.62 (less than AUD$6.00) to ship from the UK to Sydney. I thought he was exaggerating, so I asked for a copy of his contract with Royal Mail. Turns out it was true. In fact, it is cheaper for him to send a parcel from London to Manly Beach (16,700 km's) than it is for us to send a parcel from Brookvale to Manly Beach (less than 5kms). Which goes a long way to explaining why so many international businesses are able to offer free or extremely cheap shipping to Australia (and why Australian businesses can't do the same... and even struggle to ship cheaply within Australia). We recently shipped a $140 parcel to WA and paid $26 in postage alone... which does leave a lot of room for the cost to hand make, pure Australian beeswax candles, package them ethically, use only Australian made boxes, sealed with water activated gum paper tape (it's non-toxic) and the labour to process the order, create the invoice, pick the goods, pack the goodies, handwrite a lovely note and pay for a 250 square metre building, electricity, wages, website and the like. Yes, we are rorted on domestic shipping charges too. The saddest part about it is that so many Australian companies are setting up their dispatch operations overseas. Yes, Australian website, but all goods are shipped from overseas. So Australia Post get only a very small % of the delivery fee charged by the international operator rather than 100% of the fee if that business had been able to base themselves locally. And what really gets me is that rorting small business on shipping charges is a job killer. Looking at our Google Analytics, we get as many hits from the UK and USA as we do in Australia, but we ship .0001% of the parcels to those destinations. If we were able to get shipping rates comparative to what businesses of our size in those countries can get, we would need to employ a minimum of 2 additional people to handle those orders and the Government would have their hand in my pocket for company tax and in the pockets of those employees for income tax. 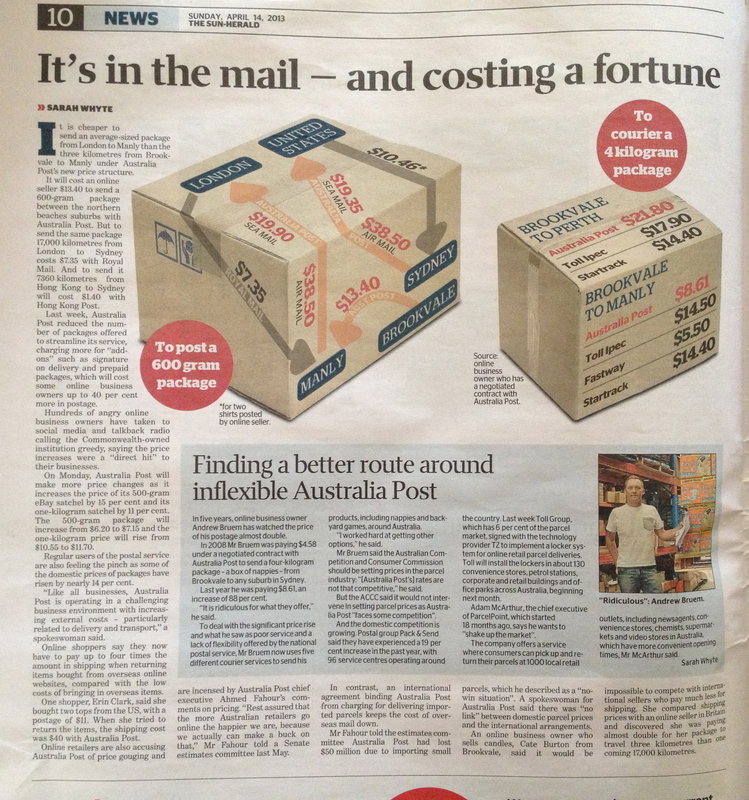 I am sure that the tax they would reap would more than compensate for any losses suffered by Australia Post. And, yes, it is the Federal Government who own Australia Post and who could fix this immediately. Now, just before you think this is one big whinge and that I've done nothing to try to fix it myself, think again. I have raised this on 4 occasions with our "Relationship Manager" at Australia Post (and provided copies of my friend's contract with Royal Mail so that they have hard, factual information). Nothing has been done. I raised it almost 2 years ago with the NSW Small Business Commissioner and again provided factual proof of the rates being offered by national carriers overseas and again nothing has been done (in fact Australia Post have had 3 massive price increases since then). I've raised it with the Federal Small Business Minister (Brendan O'Connor at the time). As you can see his response (which took 6 weeks to send) doesn't actually address the problem or provide a solution. 20120814 Letter from Small Business Minister. My email back to him along those lines was not answered. Firstly, there is now a petition you can sign. It says it is being sent to Australia Post. I sincerely hope that it is also sent to the Federal Small Business Minister and the Chamber of Commerce. You could also write to the Minister for Small Business asking him to intervene personally in this decision made by a wholly owned Federal Government Enterprise that is killing the ability of Australian small business to compete internationally. While you're at it, why not write to Julia Gillard? She claims to be the people's Prime Minister, championing small business as "the engine room of the economy". Why then does she bend over backwards for big business and the mining sector and allow a government Business Enterprise to kill Australian small business. Please feel free to share our facebook post. This is something that affects EVERY Australian. Whether you're in mining, banking, fundraising, lawyering, small business, being a parent or any of the myriad of jobs we have, if we keep allowing money to flow out of the Australian economy (which is what happens when you order stuff from overseas) and we don't have corresponding inflows (because our shipping charges are a joke... witness our current account deficit) then businesses fail which means less employment which means less money in the economy and that affects everyone. This has to stop. Not only must this decision be reversed, but Australian small businesses need to be offered globally competitive domestic and international shipping rates. Fine, they may not want to offer those rates to everyone, but any small business shipping a reasonable number of parcels needs to be given rates that will allow them to compete. Thank you for your time. I implore you to please take action. Whilst you may not think that this impacts on you, it does. Regardless of what your job is, your future prosperity depends on a vibrant Australian economy and that means a vibrant, internationally competitive small business sector. This entry was posted in Business Musings, Soapbox and tagged weak government, Australia Post rort on April 8, 2013 by queenbcandles. Even though I absolutely love what I do, usually after a holiday I question whether I am up for what is required to keep Queen B going. Today I found an 'existential crisis' booster shot. An enthusiam steroid. I think I may have found my manifesto... "Think Different" was the advertising slogan for Apple in 1997. Too young to appreciate it then, I came across is today in a new magazine, Messenger Collective. "Here’s to the crazy ones. I have a lot to do now. Happy first day back from the long weekend. Take 5 minutes today to think, or be, crazy. And if you feel so inclined, write and tell me about it. This entry was posted in Business Musings, Soapbox and tagged think different, here's to the crazy ones on April 2, 2013 by queenbcandles.